In 1910, she was part of The Knave Of Diamonds, a Moscow group of avant-garde artists whose work took a stand against the academic Moscow School; these artists were strongly influenced by current European trends but also provincial folk art. Its offshoot was the short-lived group The Donkey’s Tail (1912) coined by painter Mikhail Larionov, Goncharova’s life partner, as an intentional break from European modernism and a means to establish an independent modern Russian school.In the art of Goncharova’s peers (e.g. Malevich, Chagall, Shevchenko), there was a strong new focus on highlighting the Eastern cultural heritage. Their pre-war work tackled an artistic crisis of identity caused by the juxtaposition of two cultural legacies in Russia, i.e. Asian and European. Goncharova, alongside her life partner Larionov, established the distinction between the academic modernism of Western art and the strong native folk influences in their newly emerging Russian Primitivism. 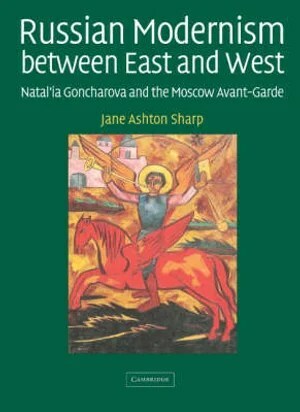 Jane Ashton Sharp wrote in Russian Modernism Between East and West (2006): “The development of Neoprimitivism should be viewed within the context of anti-academicism. Goncharova’s antagonism towards academic art was fostered during her tenure at the Moscow School. 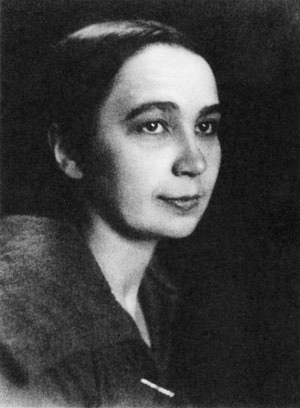 She also used the East-West debate as a tool of confrontation.” In their Rayist and Futurist Manifesto, Goncharova and Larionov proclaimed that the West had a negative effect on the East and on art in general, “We are against the West, which is vulgarizing our forms and Eastern forms, and which is bringing down the level of everything” (John E. Bowlt, Russian Art of the Avant-garde: Theory and Criticism, 1902-34 (1989). This was emphasised by Goncharova’s declaration in 1913 that, after pass[ing] through all that the West can offer at the present time…. I now shake the dust from my feet and distance myself from the West” (Mary Chamot, Goncharova. Stage Designs and Paintings (1979). In choosing Eastern Neoprimitivism, and using a multitude of styles and media, Goncharova went against the idea of the European master. Sharp showed that she “cast doubt on the homogeneity of modernist discourse” and artistic autonomy. Against the Western focus on originality, Goncharova revelled in the beauty of repetitive patterns and ornaments from Russian folklore and Byzantine icons. Her works transgressed conventional modernism by shaping a new way of thinking in art using the reproduced, reworked image inspired by traditional crafts and collective traditions as a response to Western artistic individualism. This tendency is visible in her still-lifes as well as stage art. Her ornamental, colourful, perhaps naïve constructions have been wrongly appraised as lacking creative depth. However, Goncharova’s legacy must not be overlooked or seamlessly incorporated within an all-encompassing Western avant-garde only on the basis of herself and Larionov settling in Paris for the latter part of their lives, as this was more of a material necessity than their choice to be assimilated into Western culture. Since it is Mid-Terms this week and i’m busy outlining one essay while finishing another essay, I may not have time to write a Literary Criticism insight for this week. This article is particularly interesting to me because A) I have a Russian friend who was adopted and she’s researching her native culture and B) I think some of the thoughts conjured up by this article are still relevant today. I personally, don’t think that it’s the assimilation of Eastern art into Western art that is bad, I think the way in which it is assimilated is bad, often misleading. Now, I can’t make the same argument for Western art being assimilated into Eastern art since I’ve never gone to the East to see just how it’s affecting the Eastern Hemisphere. Anyone else have any thoughts? I think I’ll show this article to my Russian friend, she’ll get a kick out of it. “Against the Western focus on originality”, still rife today. Can you explain in simple words what exactly Goncharova was against? Thanks. I’m off to read up on modernism to get an answer.